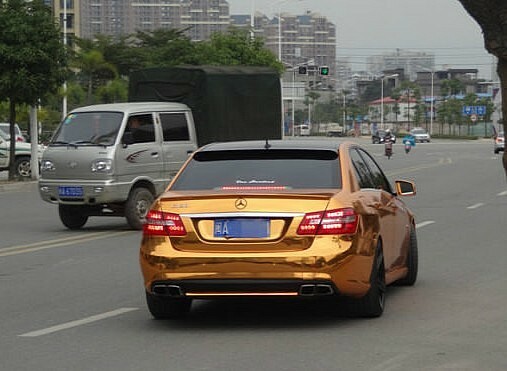 With the Lunar New Year around the corner, the owner of this E 63 AMG in the Fujian Province in China wanted to attract more luck and has decided to wrap his ride in gold foil. 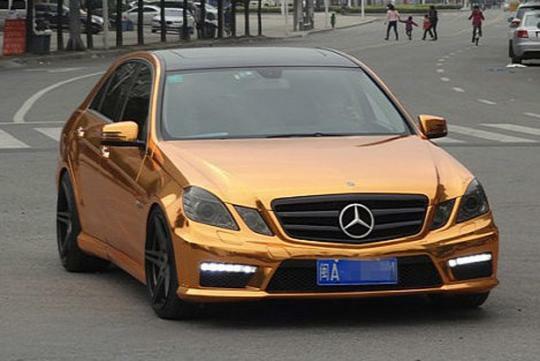 As evident from the photos, the body of the E 63 AMG is highly reflective. One can imagine the nuisance the car becomes when viewed from the rear mirror on a sunny day thanks to the reflective glossy surface. Most aspects of the car seem to be stock besides the blackened the grille. 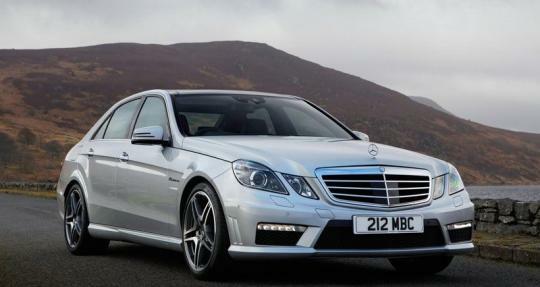 The E 63 AMG here is a pre-facelift model and is powered by a 518bhp capable 5.5-litre V8 bi-turbo engine. The performance sedan sprints from 0 to 100km/h in 4.3 seconds before reaching an electronically-limited top speed of 250km/h. 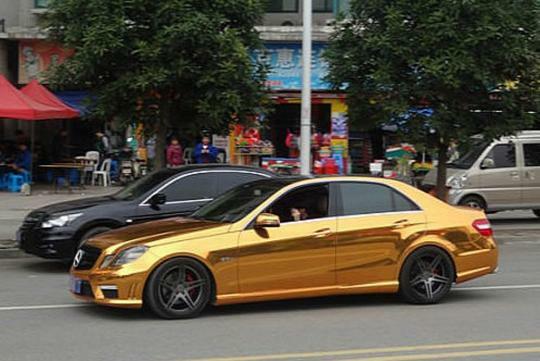 The E 63 AMG has a price tag of 1.88 million Yuan (S$32,0599) in China. 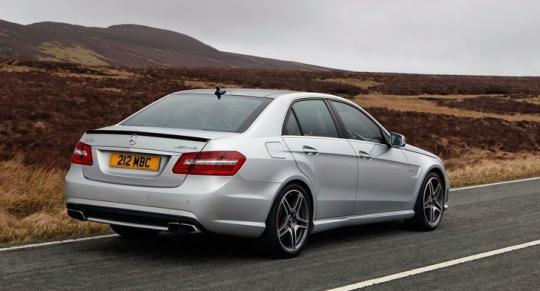 The original body work of the E 63 AMG is found below. Do you like this particular Chinese mod or the stock model?